OG Kush is an American marijuana classic, a Southern California original with some of the highest THC levels in the world. With a 55:45 sativa/indica ratio, this strain pulls no punches. Expect a hard, mixed high with intense euphoria followed by serious couch-lock. The plant’s THC concentration can reach levels as high as 21-24%. That just 1 percentage point less than the current record-holder. The cerebral boost from OG Kush Strain is ideal for depression, bipolar disorder, and anxiety, while the heavy body high can help with pain and nausea. 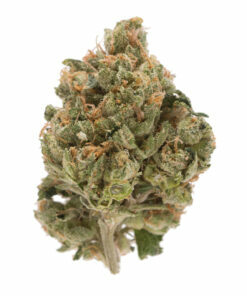 OG Kush is also used to treat Alzheimer’s disease. Dry mouth and eyes are the most common negative effects, though headaches and paranoia are also possible. This strain is a hybrid, probably a descendant of a female Chemdawg plant and a male Hindu Kush plant. 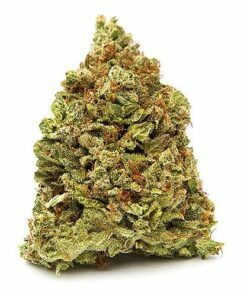 OG Kush Strain, which has given rise to countless West Coast strains, has an earthy, wood taste and a strong pine scent. It’s most popular in California, the Pacific Northwest, and Colorado.